The activity opened with messages from Corinta Guerta, IRRI's external relations director, and Cesar Perez, vice governor of Laguna Province and incoming mayor of Los Baños. The vice governor was represented by Genalyn Serrano, his chief of staff who delivered the message on his behalf. 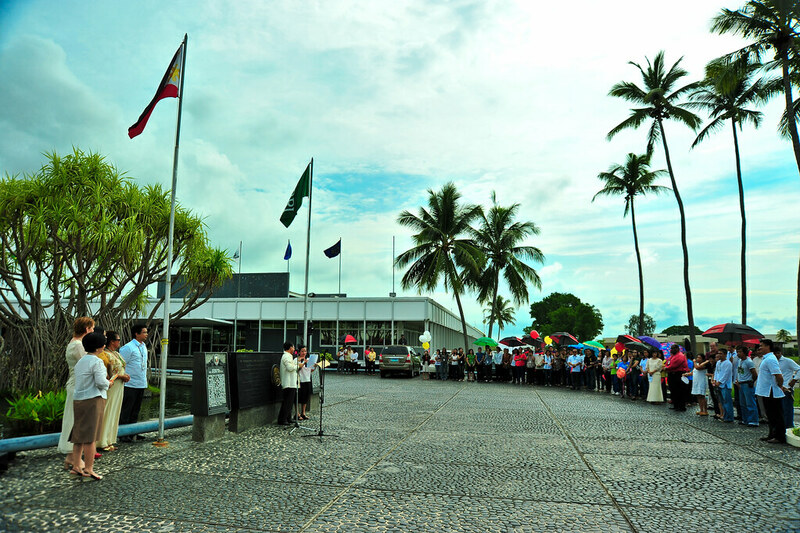 Members of IRRI management and staff gathered at the main rotunda in front of F.F. Hill to take part in the ceremony, in solidarity with the Filipino nation, as they released balloons as a symbol of freedom while singing Ako ay Pilipino (I am Filipino). The activity was organized by the Society of IRRI Non-research Professionals, in coordination with other sectoral organizations in the Institute and the Human Resource Services.